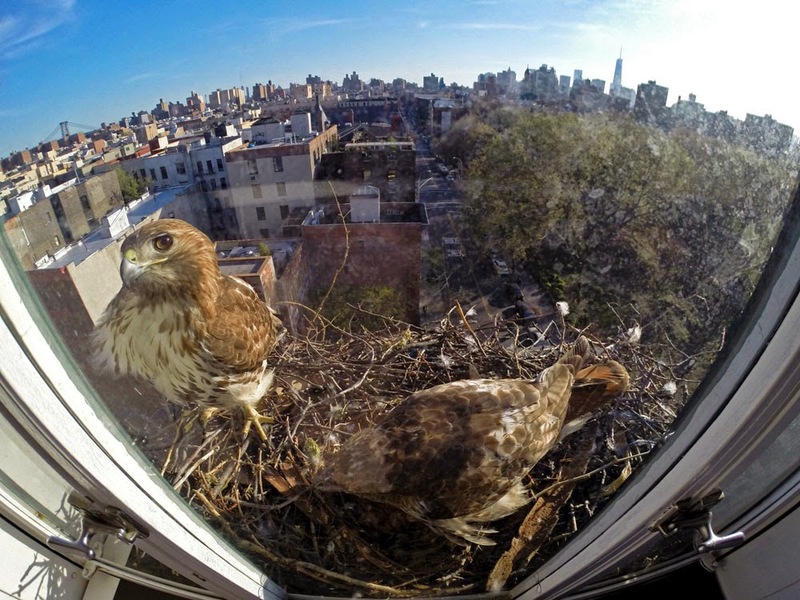 I've not had home internet service for several days, so have been unable to upload any photos, but our Tompkins Square hawks are doing well. They're still tending their eggs, switching on and off the nest throughout the day. I've not seen too much excitement except for Sunday evening, when Christo was pursued across the park by two blue jay bullies who bit at his tail while he flew. They chased him all the way from Avenue B to Avenue A where he took refuge atop the cross at St Nicholas of Myra on 10th Street. If anyone is looking for a chance to see him, he's often up there at the end of the day, and there's a good chance of seeing the hawks switch places on the nest between 5:30-7pm. 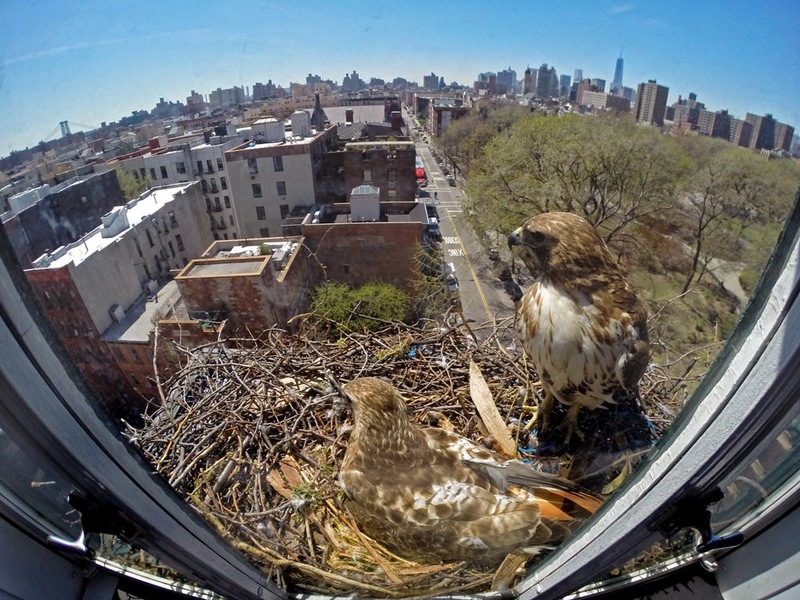 In the mean time, here are two shots from the Nest Cam, courtesy of Francois Portmann, You can see more photos and updates at his website: Fotoportmann. See more hawk photos at my Flickr page here and here.